Bluegrass has found an unlikely home, and avid following, in the Czech Republic. The music's emergence in Central Europe places it within an increasingly global network of communities built around bluegrass activities. Lee Bidgood offers a fascinating study of the Czech bluegrass phenomenon that merges intimate immersion in the music with on-the-ground fieldwork informed by his life as a working musician. 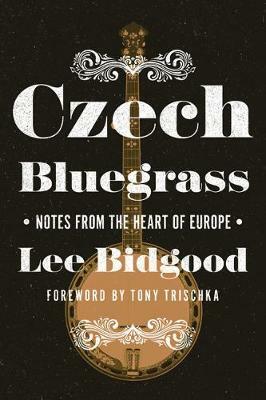 Drawing on his own close personal and professional interactions, Bidgood charts how Czech bluegrass put down roots and looks at its performance as a uniquely Czech musical practice. He also reflects on "Americanist" musical projects and the ways Czech musicians use them to construct personal and social identities. Bidgood sees these acts of construction as a response to the Czech Republic's postsocialist environment but also to US cultural prominence within our global mediascape.